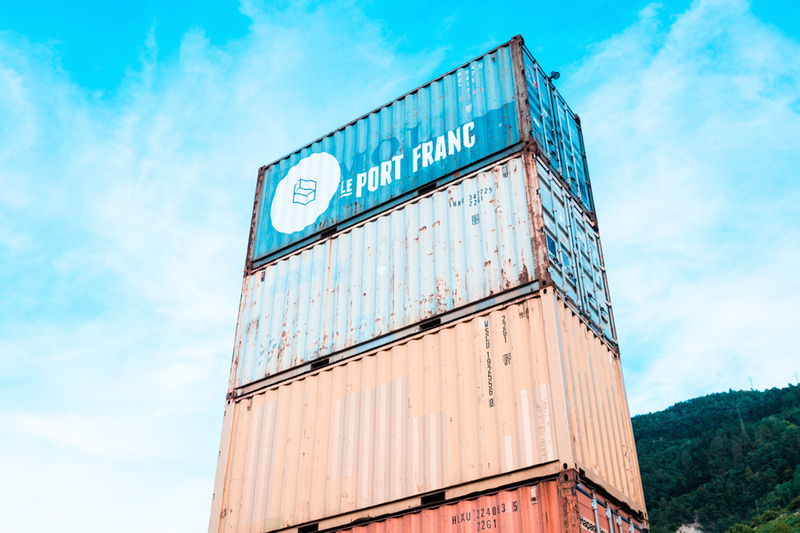 Savioz Fabrizzi Architects has turned a set of disused shipping containers into “Le Port Franc,” an innovative concert hall in the Swiss town of Sion. The repurposed metal containers were inserted within an existing building to create the framework for a large concert hall with a lounge, ticket desk, bar, rehearsal rooms, and other spaces. The architects chose cargotecture for its low-cost, flexibility, and ability to withstand extensive use and possible vandalism. The Swiss architecture firm won the bid to design Le Port Franc in a December 2011 competition. In the spirit of reuse, the architects recycled an existing warehouse building with tall ceilings and created two-story areas by stacking shipping containers on top of one another. 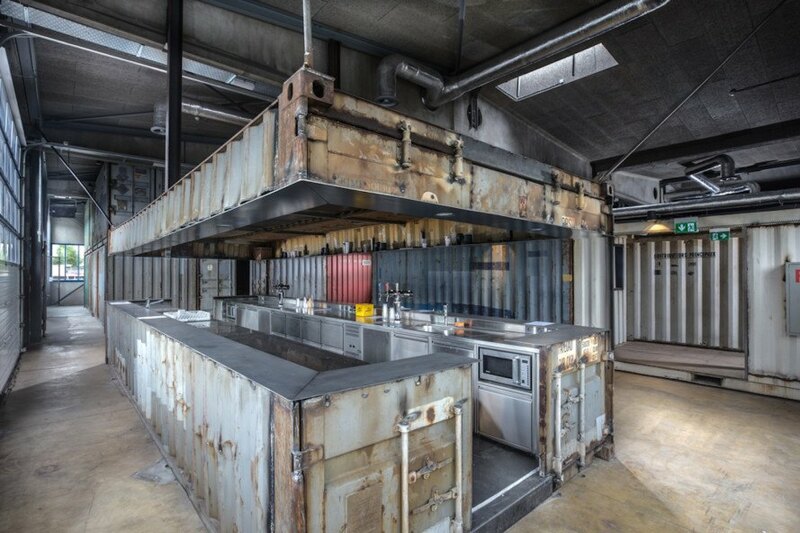 The corrugated metal surfaces were left in their original condition to give the venue an edgy and unique character. Different colored containers are grouped side by side for visual interest. “A container gives great flexibility in the arrangement of the contemporary music centre,” write the architects, who completed the project in 2015. “The performance space can be organized according to the activities taking place there and the different types of ambiance required. Extra rooms can be added, supplementing the rehearsal rooms required by the project specifications.” The venue currently accommodates 400 people and welcomes both amateur and professional musicians. The Swiss architecture firm won the bid to design Le Port Franc in a December 2011 competition. View of the second floor walkway. The corrugated metal surfaces were left in their original condition to give the venue an edgy and unique character. Different colored containers are grouped side by side for visual interest. The venue currently accommodates 400 people and welcomes both amateur and professional musicians.